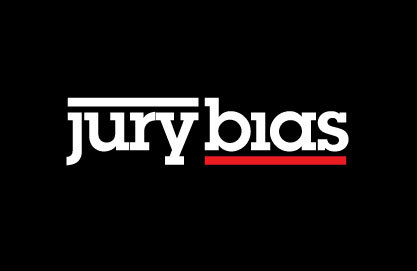 Jury Bias: Trial 2000 "OVERCOMING JUROR BIAS: IS THERE AN ANSWER?" Trial 2000 "OVERCOMING JUROR BIAS: IS THERE AN ANSWER?" OVERCOMING JUROR BIAS: IS THERE AN ANSWER? Why do jurors so quickly and harshly judge plaintiffs as being the cause of their own problems? Why are the defenses of “personal responsibility” and “stuff happens” so effective? I believe that the answer to these two questions lies in the fact that the great majority of people today truly believe they are more likely to be sued in the future than they are to file a lawsuit. Few people actually can or want to visualize themselves in a position where they need to file a lawsuit. We cannot expect people to see themselves blind, paralyzed, brain damaged, or harmed in some other way so that they would need to be a plaintiff. We cannot think anyone would naturally visualize himself or herself as a plaintiff-executor because a loved one has died an excruciating cancer death. At either a conscious or unconscious level, people resist seeing themselves as plaintiffs at any time in their future. Doing so would be too painful and frightening for them—it would mean they would have a real problem. Tort “reform” propaganda has created the widespread, almost palpable belief that we live in a sue ‘em society, where “frivolous” lawsuits are commonplace and plaintiff lawyers are no more than hired gunfighters. Anecdotes such as the McDonald’s coffee case have been manipulated so as to condition jurors to be suspicious and distrustful of plaintiffs and their lawyers. With all this in mind, one reason why jurors identify with defendants is because they can somehow sense themselves being in the same defensive posture. This is a very powerful obstacle to overcome. There are other reasons why jurors identify with defendants. First, many jurors believe that they will be harmed financially by a plaintiff’s verdict. They have been so conditioned that it has almost become an intuitive believe that a large plaintiff’s verdict will affect the affordability and perhaps even the availability of their own health, automobile, or other insurance. They are concerned with their own well-being and feel that it might be put in jeopardy by the plaintiff and his or her lawyer. Second, jurors are frightened by the prospect that “there but for the grace of God” they go, and so they will unconsciously disassociate themselves from the plaintiff and his or her pain, suffering, misery, and injury. At no level do they want to bring that tragedy into their own lives. That explains why women can at times be the least objective and possibly worst plaintiffs’ jurors in a breast cancer case. It also explains why parents may be better defense than plaintiffs’ jurors in a case involving severe injury to a child. The pain is too real and the fear is too great. These jurors feel a need to separate themselves from the plaintiff’s plight. This phenomenon is called “defensive attribution bias”. It results in jurors judging a plaintiff for his or her conduct, and it attributes the adverse outcome to the plaintiff’s lack of diligence in taking care of himself or herself. This provides a foundation for the defense that a plaintiff has failed to exercise personal responsibility. In other words, the defensive attribution bias leads a juror to say to himself or herself, “I wouldn’t be dying of breast cancer (or I wouldn’t have lost my child) because I would have followed up. I would have gone for the second, third or fourth opinion. I wouldn’t be in the plaintiff’s position because I would have done something differently.” It is a survival technique employed unconsciously by jurors. Third, people generally criticize and judge most harshly that which they are most familiar with. Since most people aren’t doctors or manufacturers but are consumers, patients, car owners, and drivers, they are most likely to, at least initially scrutinize and criticize the plaintiff, with whom they share similar life experiences, such as taking medication or driving a car. This “availability bias” serves as another potential basis for the defense of personal responsibility. There are, of course, innovative and creative methods that can be used to combat these biases. For example, focusing on the bad conduct of the defendant creates a knowledge base and brings to the jury a familiarity with the defendant so as to help shift the availability bias. This can subject the defendant to the greater weight of scrutiny. It is important to know that these biases are at work in differing degrees during all trials. The techniques currently being advocated as to how to overcome these biases, however, creative, do not work to build a positive and powerful bond between juries and plaintiffs. For example, we are taught appropriately that we need to identify hopelessly biased jurors and keep them off the jury. We are not going to change their bias, and so we need to strike them from the venire. We are also taught appropriately that because of all the tort “reform” propaganda that has been generated in the 1990s, we need to begin in voir dire to distinguish our case from those “frivolous” cases that are generally perceived to exist. 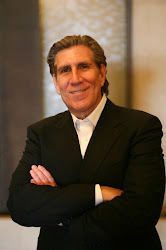 Striking jurors and distinguishing our cases are important and effective techniques. Yet they are negative and indirect and don’t really help create any bond or identification between plaintiffs and jurors. The absence of a positive bond makes our job harder, if not impossible. I believe there is an answer. As a result of many hours of thought and testing, I believe there is a trial theme that can, very effectively, create a powerful, virtually impenetrable bond between plaintiffs and jurors. It can overcome the negative biases that have been so harmful to any attainment of objective justice. The answer, I believe, lies in the concept of the basic “need for protection”. Let me explain. All people , including jurors, need and want to be protected. From birth on, our need for protection is universal and reaches to our core. We also feel a strong need to protect our loved ones and those close to us. Any argument we make to a jury must stress that the plaintiff needed and deserved protection by the defendant, wasn’t provided that protection, and, as a direct result, as harmed. Jurors share the same need for protection. They are unconsciously attempting to protect themselves when they adversely judge our clients. We need to reframe this use of self-protection so that jurors see that by protecting plaintiffs they are protecting themselves. We need to point out to jurors that our client only needs protection now because the defendant didn’t protect him or her before. Juries must understand that they need to protect an infant plaintiff whose mother died so young because the defendant didn’t provide that protection during surgery or in product research and development. The jury needs to protect the family of the deceased plaintiff because the defendant didn’t protect the plaintiff when he or she should have. This theory is as much about the jurors’ need for protection as it is about the plaintiffs’. We must always try to bring the jury into the equation—into whatever we are trying to prove. The “need for protection” argument provides a jury with a reason to identify with and help the plaintiff. Jurors are indeed afraid of cancer, of death, of being paralyzed. They need the protection that the plaintiff didn’t get. Protection works because people generally feel vulnerable and without real power. It is important that while we are speaking of the defendant’s wrongful conduct, we also stress the importance of the need for protection from that conduct. Protection and prevention can be used in tandem to create a powerful identification between jurors and plaintiffs. The concept of prevention is closely related to the need for protection, yet it is all different. Prevention is more abstract. Prevention relates to an event in the future that we don’t want to believe will ever happen to us since it will mean injury or death or some other tragedy has occurred. The need for protection, on the other hand, is a direct and palpably real feeling that we experience all the time. It is present tense and runs deep inside all of us. During trial, we need to speak about our role as protectors of our clients, of our system of justice, and, indeed of our injuries. We need to talk about our role of equalizing power and leveling the playing field. We need to institutionalize our role as protectors—it will justifiably elevate us in the minds and hearts of jurors. One relevant question for the defendant on cross-examination that can invoke the concept of the need for protection is “Would you do it all over again?” If the answer is “no”, the negative implications to the defendant are evident. If the answer is “yes,” that creates a strong need to protect against that wrongful conduct ever happened again. Let me give you an example of part of a closing argument I presented to a jury based on a defendant giving a “yes” answer to this question—that is, indeed, he would do it all over again. The defendant had operated on the plaintiff’s wrong foot. Two minutes into the procedure a nurse brought the error to his attention. After hesitating for a second or two, he decided to go ahead anyway, reasoning that he believed the plaintiff would need surgery on the wrong foot eventually. He would do it all over again. He was in the wrong foot, and he knew it. He was doing experimental, untested surgery, and he knew that. He misled Kathleen about what had happened, and he knew it. Kathleen was being followed by a private investigator—after she had trusted the defendant for a second time—and he knew it. He dropped her as a patient, leaving her without a doctor, without a cure, without any real idea of what had happened to her, and he still did it. He went to her home for a Christmas party—she invited him into her home in an act of trust, and he was there only to spy on her, as if he had hired himself as a private eye—and he did this. And he would do it all over again. What deep arrogance. His arrogance so widespread, so offensive, and so deep within him, it has numbed him to any sense of decency and responsibility. We cannot any longer be expected to trust him to know or to do what is right. His arrogance will respond to only one thing—a strong message, strong enough to clearly tell that arrogance that it cannot ever, ever, ever again do this to Kathleen or to anyone! In closing argument, we need to let juries know that the mantle of responsibility is being turned over to them, for them to protect the plaintiff, for them to protect the process, and for them to be sure that this wrong never happens again. I believe the concept of “the need for protection” can help us create a positive bond between plaintiffs and jurors. This identification is essential to our ability to attain justice for our clients.